While replacement toner cartridges are on the high side, the Oki C331dn is a fast color printer that produces some of the best quality prints in its class. 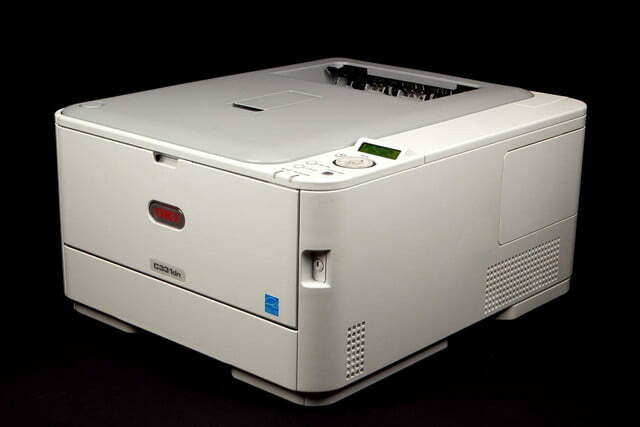 One word that’s often used to describe a printer is “workhorse,” and the Oki C331dn ($349) is one such example. 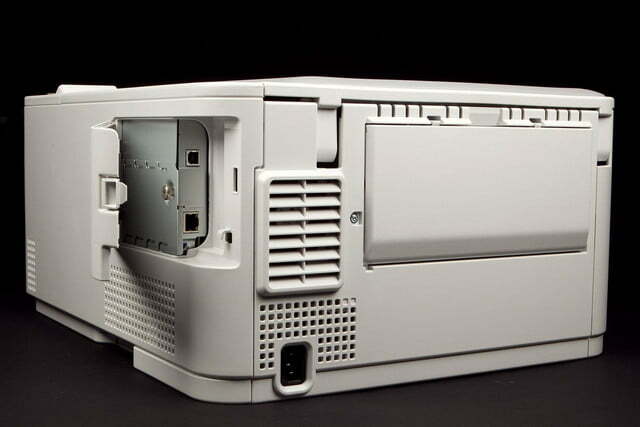 Like the Dell C1765nr, the C331dn is an LED color printer, which uses a fixed width printhead containing LEDs to “write” the image on a photoconductor drum, rather than a scanning laser beam. Workhorse printers like this aren’t marketed toward the home user, but, having said that, it’s worth considering if you print a couple of hundred pages a month. In a house with a fair number of users doing a lot of printing, you can easily bump up against a typical consumer laser printer’s recommended monthly duty cycle. That’s not going to happen with the C331dn. Its duty cycle is up to 45,000 pages a month – that’s seven cases (not reams) of paper a month. Obviously, most home and even small business users will not approach that duty cycle. 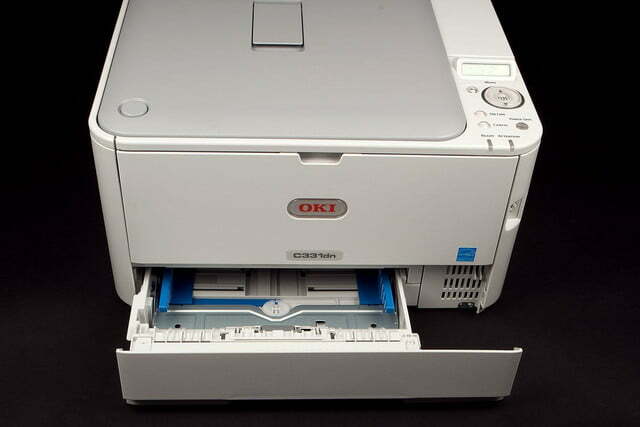 But combined with Oki’s three-year warranty, it underlines how durable the printer is – you’re not going to break it by using it. The C331dn looks deceptively small when viewed from the front. It’s only 16.1 inches wide and 9.5 inches tall (without the optional second paper tray). 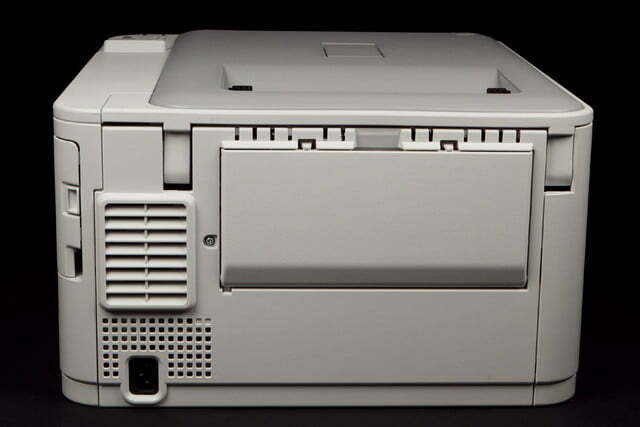 But, due to the design of how the cartridges are laid out, the C331dn is very deep, at 19.8 inches – considerably deeper than most of the printers we’ve tested recently. And the setup guide illustrates two people lifting it while unpacking. That’s probably a good idea, as the printer weighs in at almost 50 pounds. The setup guide illustrates two people lifting it while unpacking. That’s probably a good idea, as the printer weighs in at almost 50 pounds. There are few controls on the printer you need to worry about. Besides the navigation and OK buttons for scrolling through menus on a backlit 16-character display, there are the Power Save button, Online, and Cancel buttons. For the most part, once set up, you’ll make most of the adjustments from the print driver on your computer. One thing that’s notable about the C331dn is that you can get very granular with the color settings. The printer can print a sheet of color swatches that you can use with software, such as Photoshop, to set the RGB values on an image that’s being created or edited to a very specific color. Few home users will take advantage of this, but it’s a nice feature to have if you do a lot of precise color printing. 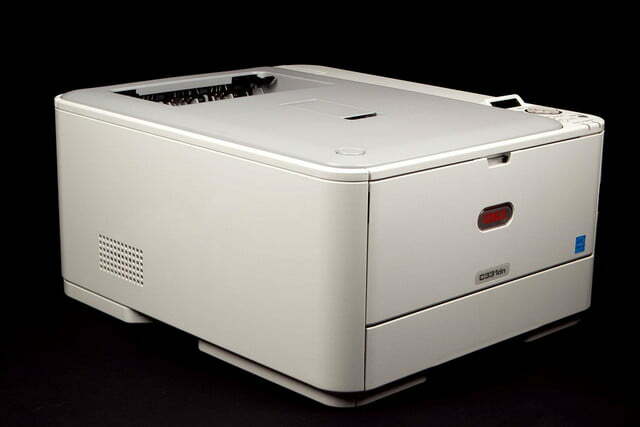 The C331dn has a large input tray that holds 250 sheets, exactly a half-ream. If you generally run large print jobs, there’s an optional second paper tray that fits underneath the printer and adds another 530 sheets of capacity. 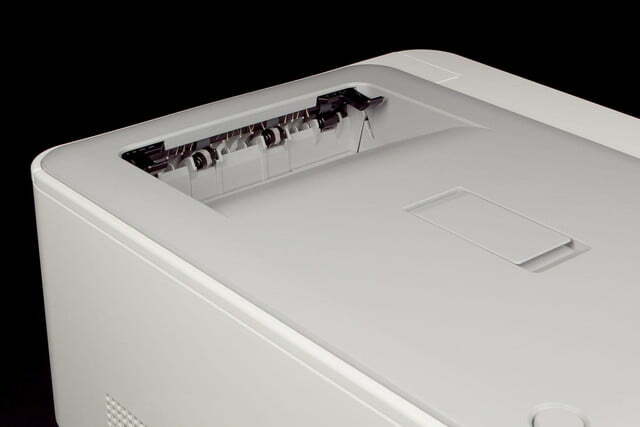 A panel on the front of the printer folds down to expose a multi-purpose tray for heavy or specialized stock. Depending on the weight of the paper, it can hold up to another 100 sheets. Auto duplexing (two-side printing) is a feature. 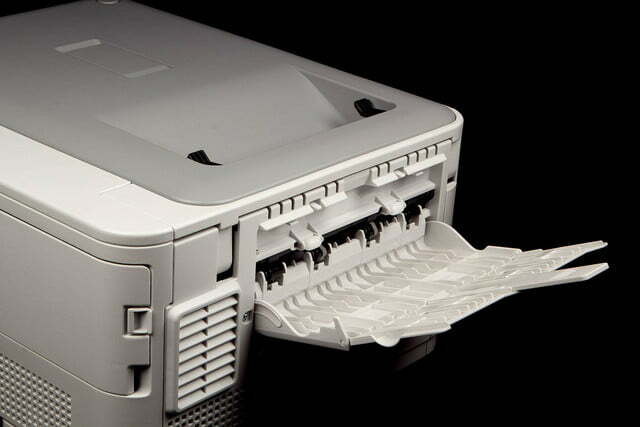 Paper exits at the top of the printer, and a pop-up support just isn’t going to hold the entire input tray’s capacity, so you’ll need to keep an eye on the printer if you have a long print job running, like a copy of a nonfiction book. The C331dn does not support Wi-Fi. Considering how prevalent Wi-Fi is today in both the home and office, this will be an important factor to home or small business user. There were no surprises inside the box. It contains the printer, a power cord, a disc containing drivers Windows and Mac drivers, and documentation. 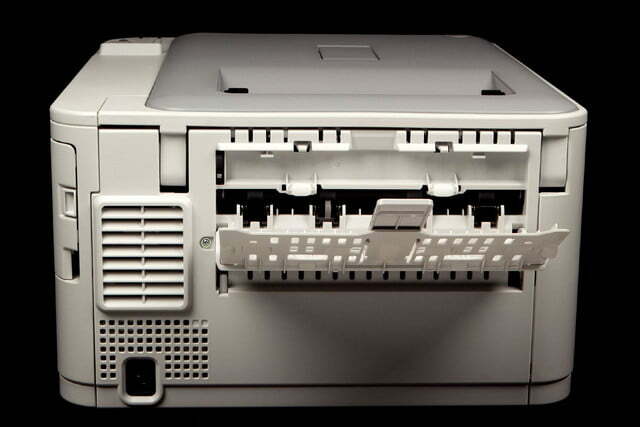 The C331dn has \ the toner cartridges and drum already installed, so setup is really just attaching the power cord, loading paper, and plugging in a USB or Ethernet cable. 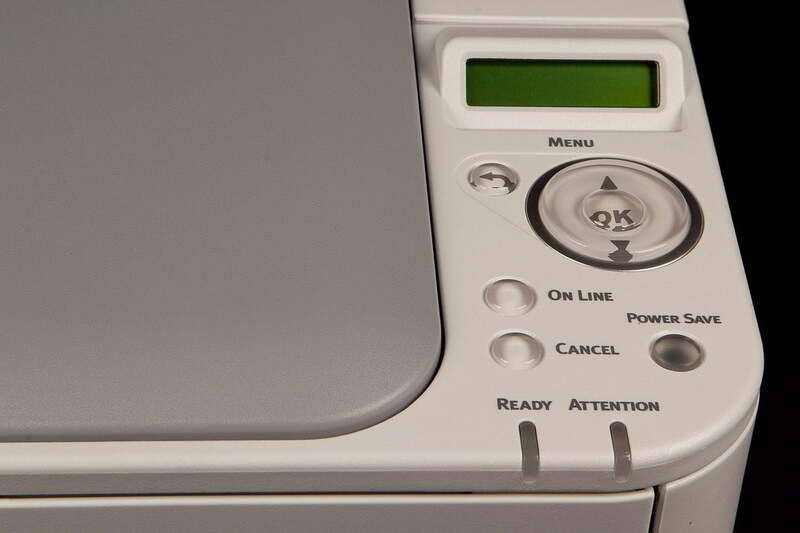 Oki also includes a number of utilities on the installation disc, but few, if any, of these will be of use to the typical home user unless they need precision color output. Setting up the C331dn is completely automated. Running the installation, we were asked whether we wanted to use Ethernet or USB, and instructed to plug in the appropriate cable. 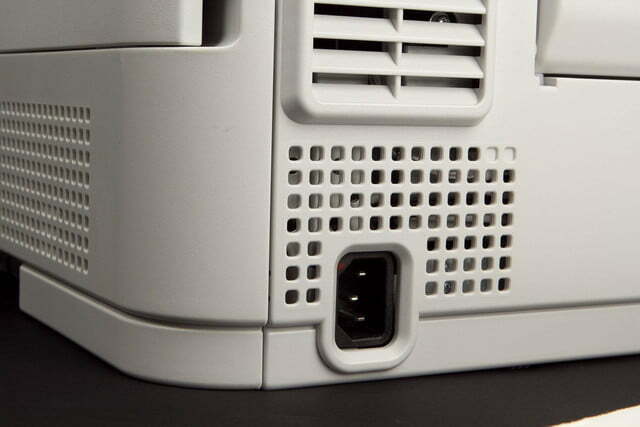 The USB and Ethernet ports are hidden behind a door at the rear of the right side panel, but there’s no mention of it on the setup guide. 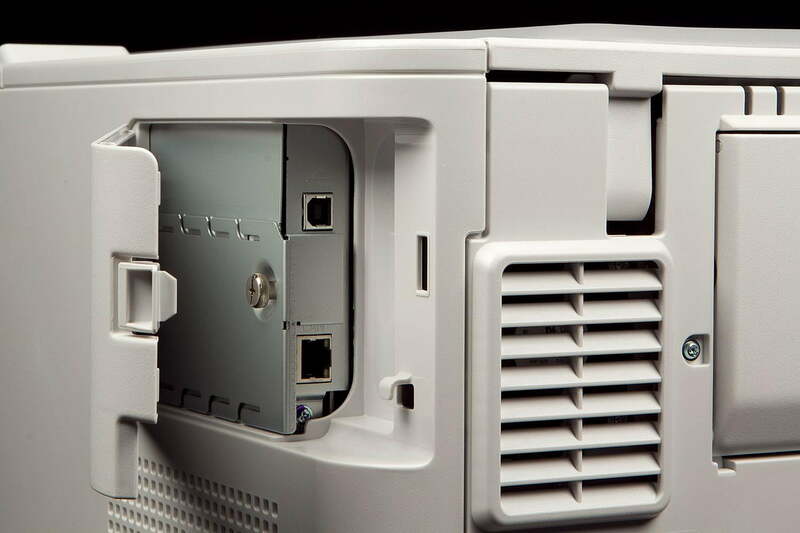 The C331dn gives you a choice of printer drivers: You can install the PCL driver that almost every application uses, or the Postscript driver which is somewhat better for use with graphics software and when you need to do precise color matching. You can, of course, install them both and choose which driver to use at print time. 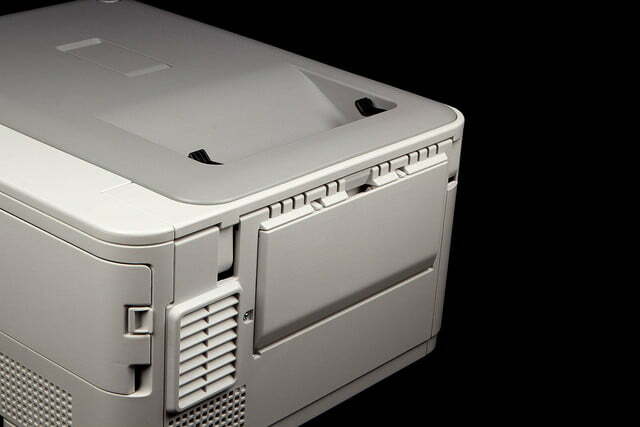 We were impressed with the C331dn’s performance and print quality. 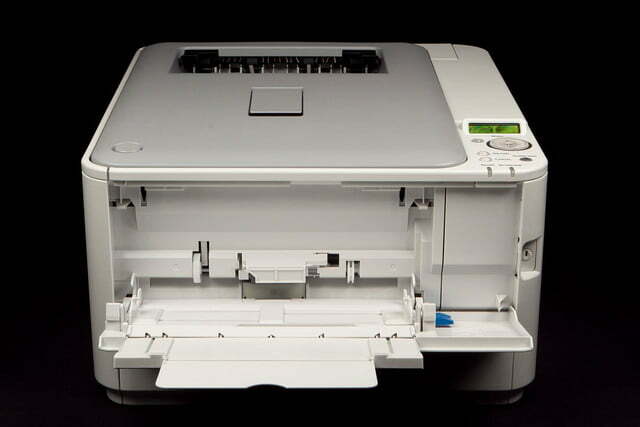 Once we started testing, we were impressed with the C331dn’s performance and print quality. 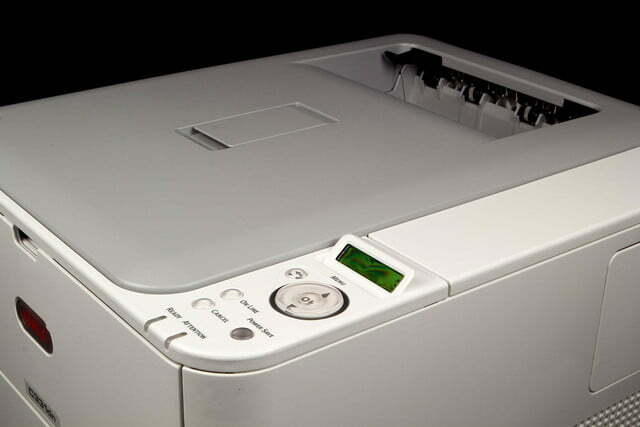 The print driver offers four settings: ProQ/High Quality, Fine/Detail, Normal, and Draft. Our speed testing was performed using the Normal setting, which is the default, while we set the driver to its highest quality when we tested for image quality. 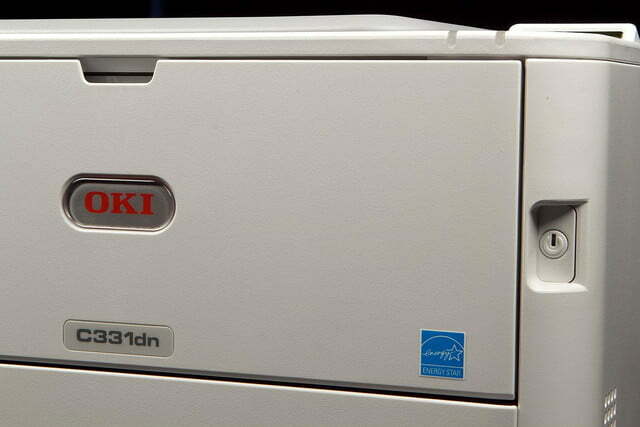 Oki rates the C331dn at up to 23 pages per minute in color mode, which is exactly what we achieved in our testing. Oki didn’t recommend a particular paper for the best image quality, so we used HP Office paper as well as the Premium Inkjet & Laser paper from Hammermill. Printing our test images yielded spot-on color with both papers. The images, however, were noticeably brighter when printed on the more expensive Premium Inkjet & Laser paper. 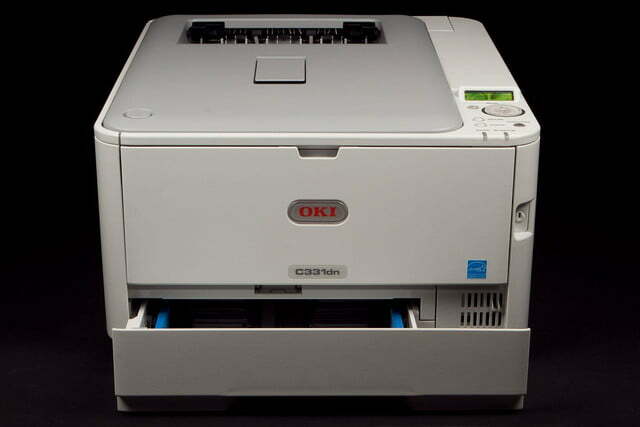 While the Oki C331dn is priced about the same as other color lasers in its class, its operating costs are on the high side. 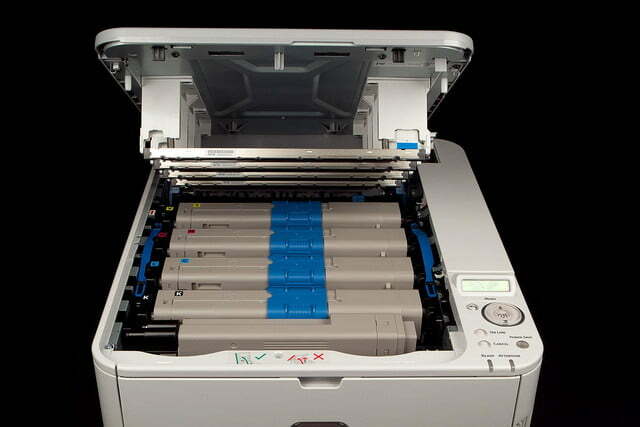 Toner cartridges will print 3,000 pages (color) and 3,500 pages in black. 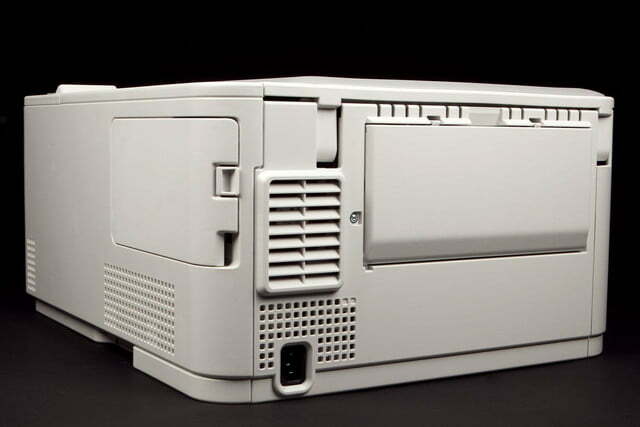 High-capacity cartridges are not available for this model. With color cartridges costing about $146 and black about $98, the cost-per-page works out to an expensive 20 cents per color page printed. 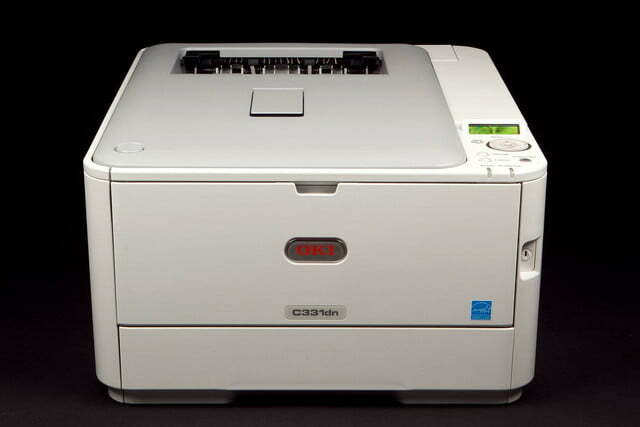 The Oki C331dn is a workhorse of a printer. The printer itself is relatively inexpensive, but the cost of supplies is on the high side at about 20 cents a page. But the output quality is really good, and the printer is fast. The C331dn also offers automatic duplexing and a large paper drawer. 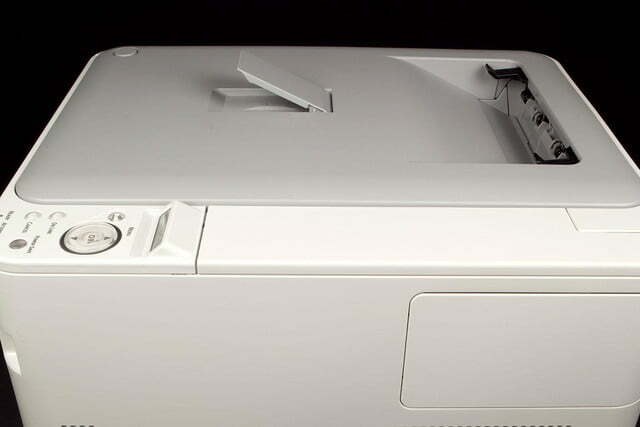 With the optional 530-sheet second paper drawer, you can load up to a ream-and-a-half of paper and print away, which makes the C331dn perfect for long print jobs or when you need lots of copies of a flyer or report.